The Chief Metropolitan Magistrate's courts : The Presidency Magistrate's Courts were established in the year 1810 also known as Police Courts. On coming into force Code of Criminal Procedure Code, 1973 ( 2 of 1974 ) 01st April 1974 , these Courts are known as The Chief Metropolitan Magistrates Courts, Mumbai. The Magnificent Court building for Chief Metropolitan Magistrate Courts has great Archaeological importance. It was carved out under the superintendence of Khan Bahadur Muncherjee Cowasjee Murzaban Associ.M.Inst. C.E. Executive Engineer Presidency. The work of the building was Commenced on 03rd December 1884 and Completed on 31st December 1888 with estimated Cost of Rs. 3,87,361/- , Actual Cost of Rs. 3,73,694/-. The Hon'ble Mr. C. P. Cooper (Bar-at-Law) was the first Presidency Magistrate. He presided over as Chief Presidency Magistrate from year 1878 - 1895. Presently the sanctioned strength of courts of Metropolitan Magistrates is 75. 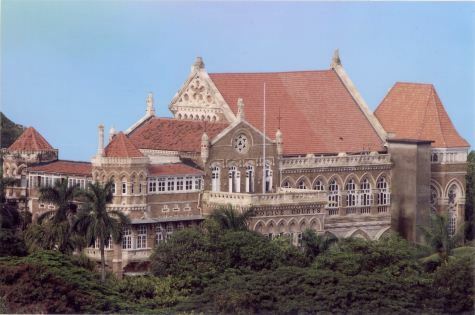 These courts are housed in 16 Court Complexes (Centre) namely 1) Esplanade, 2) Mazgaon (Presently camped at Sewree), 3) Girgaon, 4) Dadar, 5) Andheri, 6) Bandra, 7) Borivali, 8) Kurla, 9) Vikhroli, 10) Mulund, 11) Ballard Pier, 12) C.S.T., 13) Mumbai Central Court ( M.C.T. ), 14) Vileparle, 15) Shindewadi, and 16) Juvenile Court-Umarkhadi. Lower and Higher Standard Departmental Examination 2018 Result. The Work in respect of bail, remand etc. u/s. 80 and 81 of the Cr.P.C. Result of Lower Standard Departmental Examination 2017 .